That evening Carrie was getting things organized at her condo for the movie marathon with Sidney. She was wondering what movies Sidney was going to pick out because they had different tastes. But since they were best friends they accepted each others opinions and were willing to see and do new things for each other. Carrie was getting the food ready in the kitchen when she heard the doorbell ring so she went to the door and looked through the peephole and saw Sidney standing there. Carrie opened the door and smiled. "Hey Sid come on in." "Thanks" Sid said as he walked in carrying a bag which had several movies for them to watch. "What are we going to be watching tonight?" asked Carrie. "I got 'Flags of Our Fathers', 'Enemy at the Gates', 'Elizabeth' and 'Elizabeth, The Golden Age'. Those last two were for you. I hope you are ok with these choices" Sidney said as he smiled at Carrie. "Yeah all of those sound good to me. Let me get our snacks and then we can start the movie marathon" Carrie said as she walked into the kitchen. When she came out with the snacks Sidney was getting the first movie ready. Carrie went over and put everything on the table in front of the big couch and then she sat down. Then Sid came over and sat down next to Carrie and they started the first movie which was 'Flags of Our Fathers'. Then they put on 'Elizabeth' and during that movie Sid moved so that Carrie was snuggled closer to him. They got comfortable and watched 'Elizabeth' by the end of that movie they were kinda laying next to each other on the big couch. Carrie had actually fallen asleep in Sid's arms. Sid looked down at Carrie and just smiled and decided to turn off the movie and go to sleep himself. The next morning Carrie woke up looking around and realizing that she was not in her bedroom. She moved a little bit but realized that was a slightly hard accomplishment because she had a strong arm around her. Carrie was able to look and see Sid sleeping next to her on the couch and then it hit her that she had fallen asleep during the movie marathon. Usually when she fell asleep during movie marathons Sid would wake her up and then he would head home so why this time did he stay and spend the night. Carrie thought that was weird but whatever it was nice that he had stayed over. She just laid there and decided to wait for Sid to wake up which was not long. "Morning Sunshine" Sid said smiling down at her. "Good Morning to you too Sid. What do you want for breakfast?" asked Carrie smiling back at Sidney. "I think we should just go out. So go and get ready doll face" joked Sidney as he moved and helped Carrie up too. She headed into her bedroom and got showered and dressed. Carrie heard Sidney in the guest bathroom showering too. Finally they were on their way to get some breakfast. They got to the restaurant and were seated kinda quickly because there were not many people there for breakfast which was nice. They sat down and looked at their menus. "Carrie I have a big favor to ask you" Sid said seriously. "Ok what's up?" Carrie asked looking concerned. "There is this photo shoot that I have to do on Wednesday. And I did not want to do it with a random model that they usually use. So I told them that I really want to do it with someone I know. They said if I could find someone then it would be cool. So what I need is for you to be the girl model in my pictures. Say yes please Carrie" pleaded Sidney. "Wow modeling is not my forte you know Sid" said Carrie looking more concerned. "Come on you will do great and it would make me feel so much more relaxed doing it. I will owe you huge Carrie." "Fine Sidney only because you are my best friend and you will so owe me big time!" exclaimed Carrie. Then Sidney got up from his chair and made Carrie stand up and he gave her a huge hug!!! "Thank you so much. I love ya for this you know." "Yeah I love ya too hotshot" joked Carrie. Ooooooo love this chapter! 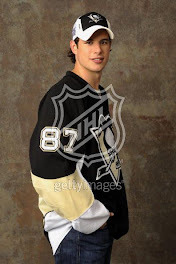 I wanna do a photoshoot with the hot shot Sid! Well written chapter!